I’ve been in New York to spend some time with the Occupy Sandy folks who have been using Sahana Eden to coordinate their relief operations. 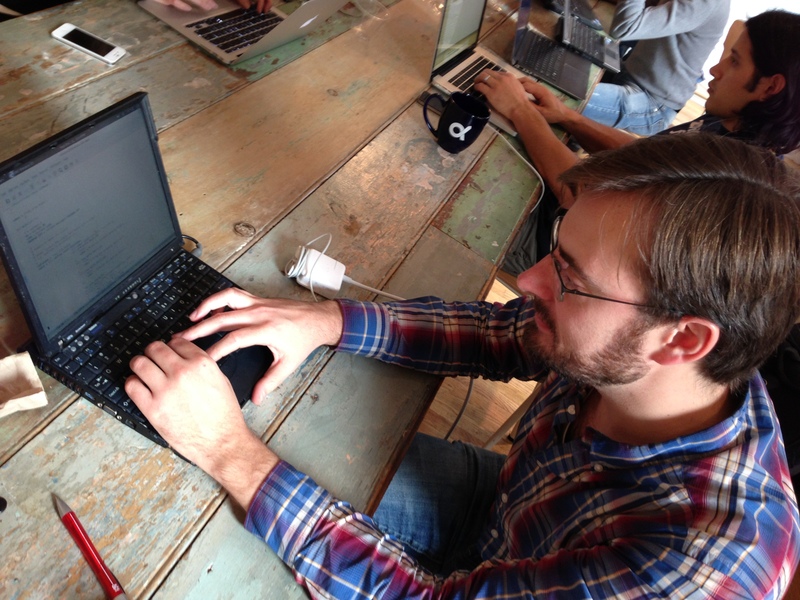 Over the weekend we all attended the NYTechRespond Hackathon. There were representatives there from American Red Cross, FEMA, United Way and Team Rubicon as well as a number of people involved in various technology projects in response to Sandy. 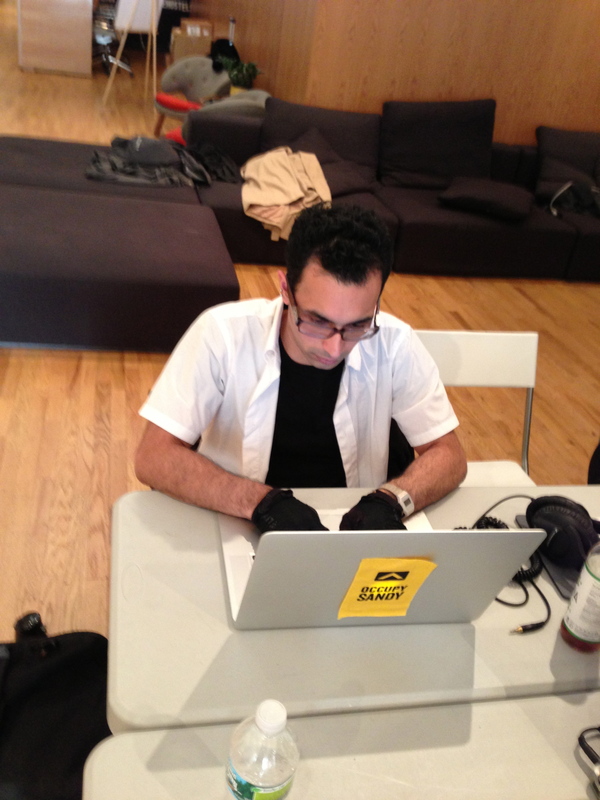 Robert Pluma (@RobotPluma) from Occupy Sandy continued to to work on a plan for moving this forward during the Hackathon. This is one of the challenges that Sahana Eden was specifically designed for and I hope that we can be part of the solution. 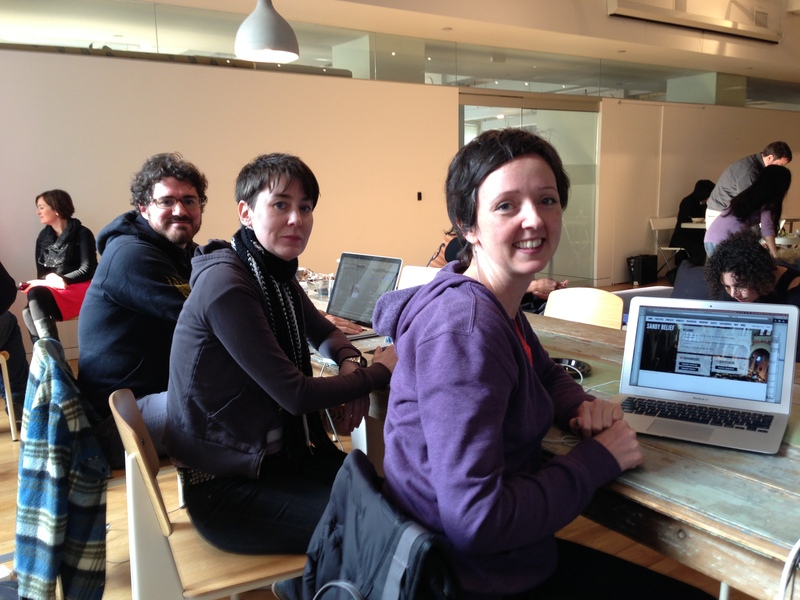 Jesse Mann (@jesse_mann), Patricia Lutz and Erica Heinz (@ericaheinz) – Designers with Occupy Sandy who helped work on UI/UX for the Sahana Eden Sandy Relief site. Aaron Williamson, a lawyer by day with the Software Freedom Law Center joined us too, getting stuck into the Sahana Eden code and starting to develop a interface for sites to easily share what they have, need and don’t want. Mark Prutsalis, our CEO gave a presentation on Sahana, introducing what we’ve been doing for Sandy and for disasters over the past 8 years. He pitched the projects that we’d be working on over the weekend: Improving the UI/UX of Sahana for the Sandy response & looking into how we could better support sharing of 3W (Who’s doing what where) Data. During the Hackathon, Fran Boon contributed to the discussion on sharing 3W Data, drawing on his extensive experience working with humanitarian agencies and deep knowledge of data sharing. The most exciting part of the Hackathon for me was working with Erica Heinz (@ericaheinz) a designer from Occupy Sandy to develop a custom theme for the Sahana Eden Sandy Relief site. I’ve always felt that we could do a lot to improve the UI/UX of Sahana and it was a thrill to see the work that Erica did to our site – isn’t it beautiful! Seven years ago after the Tsunami in Indonesia I started trying to use technology to help us better respond to and recovery from disasters. It’s been a long process, with as many successes as failures. I know that these aren’t solutions that can be hacked together in a weekend and the change is as much about people as technology. But this weekend in New York, I know that we’ve taken a step closer towards our goal – and it is not the code which we wrote, or the mockups we designed, but the people who have joined us on this journey.